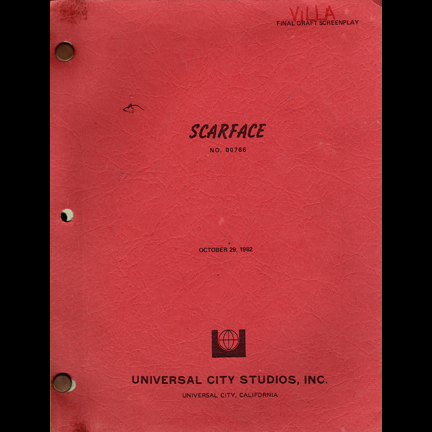 This working draft script was acquired directly from the Assistant Property Master that worked on the legendary film "Scarface" starring Al Pacino as the infamous "Tony Montana". 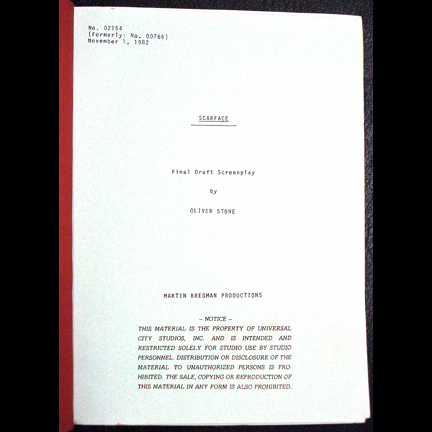 The cover of the script reads “Final Draft Screenplay, Scarface, No. 00766, October 29, 1982. Universal City Studios, Inc., Universal City, California”. 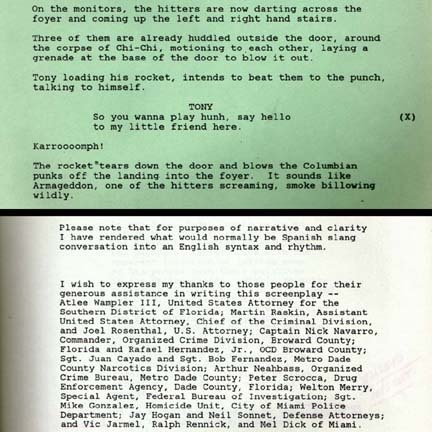 The “Final Draft” script underwent a revision during production as indicated on the upper left of the first page of the script, which reads “No. 02154 (Formerly No. 00766)” and the revision date “November 1, 1982”. 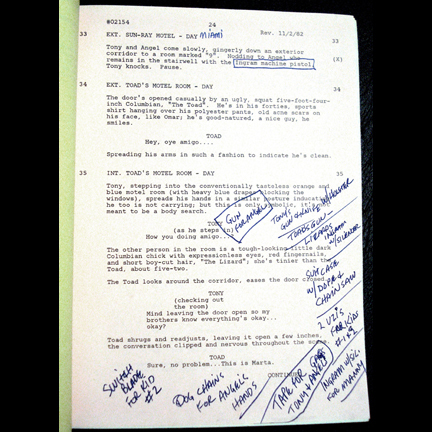 Numerous additional revisions also occurred during filming as indicated by the inclusion of different colored pages of revised and dated changes. 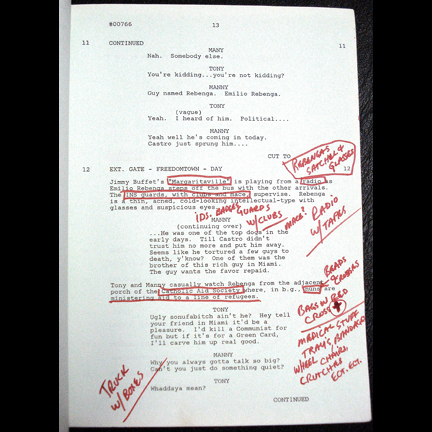 The script is also extensively hand notated with numerous entries and additions that the property master made while working on the production, giving fascinating insight into all the processes involved in creating environments for this now classic film. 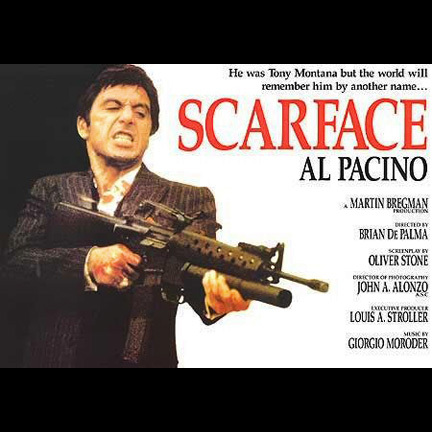 Brian De Palma’s gangster epic “Scarface” was a remake of the classic 1932 film starring Paul Muni, George Raft, and Boris Karloff. The screenplay was written by Oliver Stone and the film was nominated for three Golden Globes in 1984 including Best Actor (Al Pacino), Best Supporting Actor (Stephen Bauer), and Best Original Score (Giorgio Moroder). The script is in good condition with some minor evidence of age and wear that occurred during its extensive use on various sets and locations and is accompanied by a certificate of authenticity.